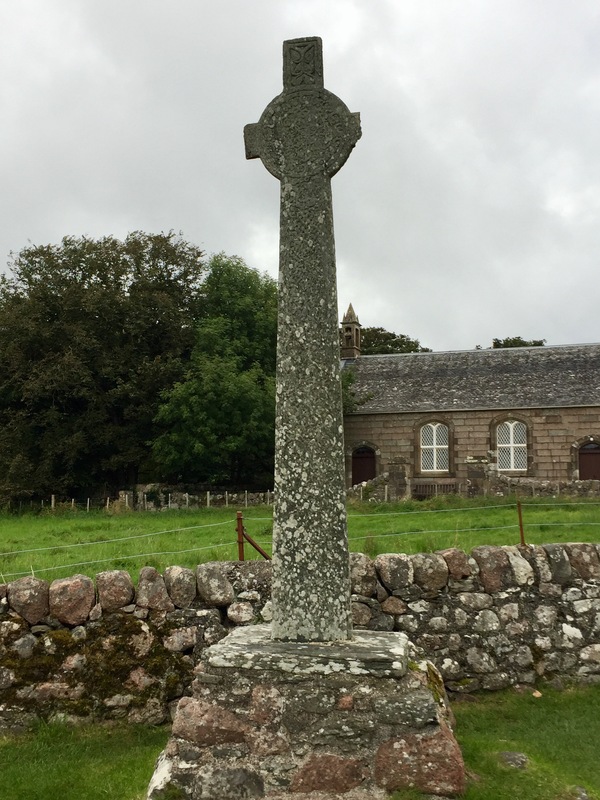 First photo is Maclean’s Cross, c. 1500, where pilgrims would have stopped to pray before reaching Abbey. Church in back is Church of Scotland. 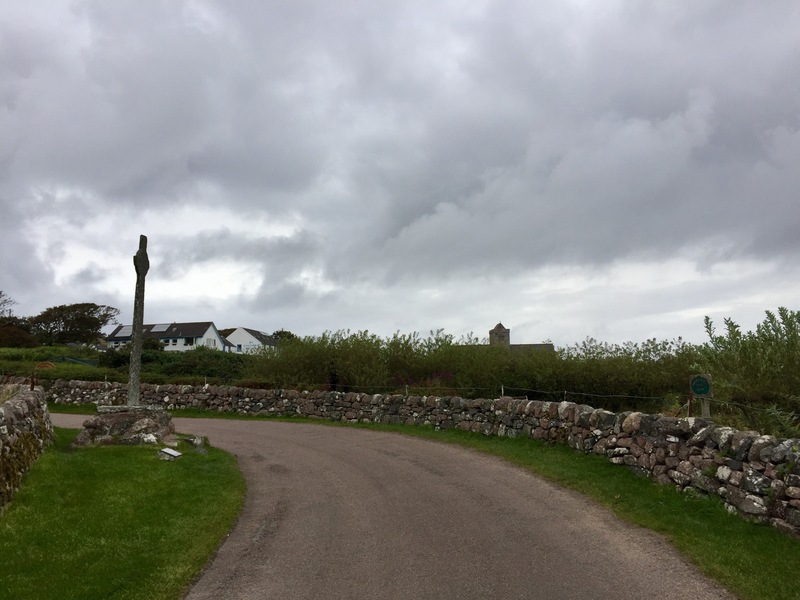 Second pic shows path up to St. Columba’s (where we are staying), white building on left, and farther up, the Abbey, with cross to left of road. Tour guides still stop here with their groups, both to instruct and I’m sure still to pray. 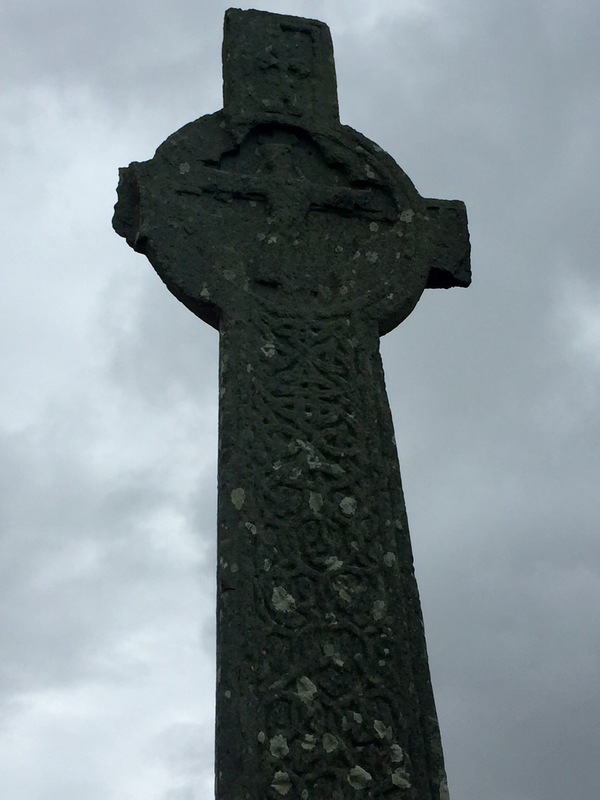 Third photo is back of cross, with depiction of crucifixion in cross circle. 10 Sep	This entry was published on September 10, 2017 at 6:50 am and is filed under Uncategorized. Bookmark the permalink. Follow any comments here with the RSS feed for this post.